For over 40 years, Serotta was a pioneer in bicycle manufacturing – innovative materials, design and construction made their products revolutionary. Seeking a single vendor to provide multiple processes, Serotta approached Switzer in need of contract manufacturer to make distinctive metal head badges for the frames of their legendary bicycles. 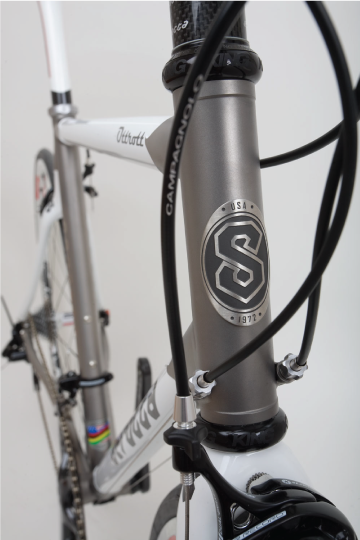 Eager to keep all operations at a single location, Serotta’s objective was to minimize expense and lead-time while maintaining the quality of one of the most recognizable symbols in the bicycle industry. 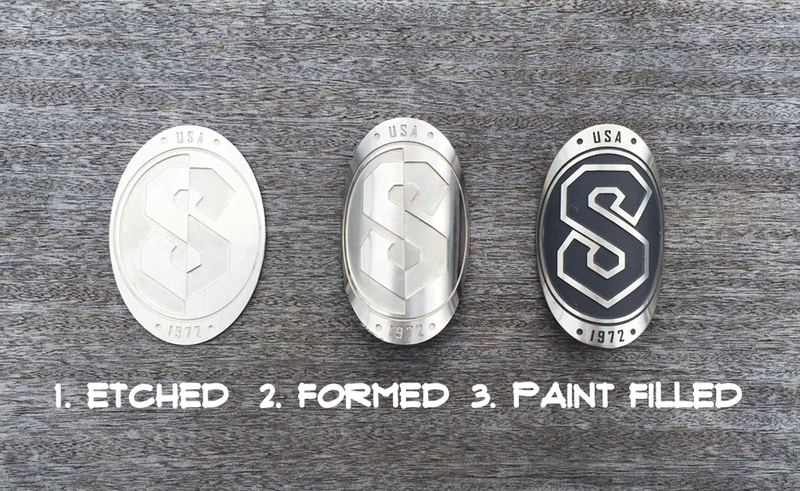 Switzer soon discovered that individually etching, painting, and forming the head badges would prove to be difficult and time-consuming, requiring meticulous finishing operations. To lessen material handling as much as possible, Switzer processed the badges in sheet form, minimizing handling while maximizing output. The badge images were etched down and painted in sheet form, then individually punched and formed. Switzer also developed the custom equipment used to simply and accurately secure a die-cut, pressure-sensitive adhesive backing. With the resulting finished badges now complete, Switzer further exceeded expectations by individually packaging each head badge for shipping; providing additional protection in transit, and hassle-free storage & distribution once delivered to Serotta’s factory.